Work from Economies of Good and Evil. “When I get a hold of Toronto artist Mitch Robertson at Saint Mary’s University Art Gallery in Halifax, he’s just returned from dropping off his son. The father and son team had been getting the gallery ready for Robertson’s show 5,6,7: Economies of Good & Evil. But being three years old, Robertson’s son was having more fun dirtying the Plexiglas containers than cleaning them. Robertson’s son was a big influence on 5,6,7, which was exhibited in Oakville and Winnipeg last year. Most of the work in the show was made at a time when Robertson was struggling with how to raise a family. In Winners and Losers (2005-07) and From Good to Bad (2006) Robertson plays with our concepts of good and evil. By colouring one cowboy’s hat black and another’s white he exposes how subjective our morals can be. 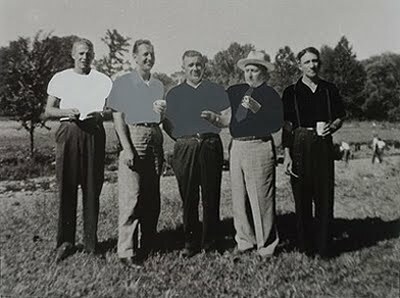 The concept is explored further in photos of groups of men, where their shirts are coloured in grey scale from black and white. When the show premiered in Winnipeg’s Plug In ICA, Robertson’s exclusive use of white men drew charges of sexism and racism. “They wanted to know why I was so focused on the white male. But isn’t that obvious? That’s me. It’s a whole show about me. This is what I’m going through. It’s when I’m trying to raise children. It’s when I’m trying to understand morality, and community,” says Robertson. The show developed the way most of Robertson’s work does—through his love of collecting. After two years of collecting church cookbooks from the ’70s, he ended up making a series of paintings that are in the show based on the churches that appeared on the covers of these books. Robertson then needed to collect these individual projects before he found the themes connecting a miniature wooden chapel (Modular Church) and twenty-four statues of Jesus coloured like the Pepsi logo (Pepsijesus). Assembled together the show is broken into three groups, five for man, six the devil, and seven for God. Robin Metcalf, Director/Curator at the SMU Art Gallery, says his favourite piece at the show is 666— a series of charcoal rubbings of houses with the street number 666. Robertson scoured South Western Ontario to find these haunting numerals. After opening the exhibition in Halifax, Robertson will fly back to Toronto to open a show of new works at Birch Libralato gallery, which he’s calling Uphellyaa. Building on the themes of morality and the commodification of spiritual activities, Robertson is exploring how community and ritual evolve amid globalization. 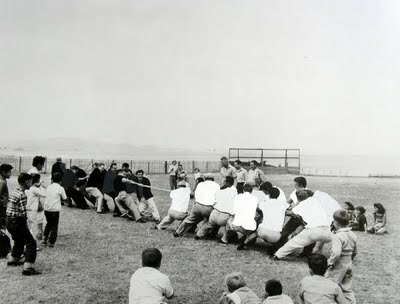 The show will feature two large photographs Robertson took at night at the Uphellyaa festival on the Shetland Islands. The photos capture the ritual burning of large Viking ships, and the teams of torchbearers setting ablaze. Accompanying the larger photos are 5×8 photos of four torchbearer teams as they get ready for the festival. The centrepiece of the show, however, is four wooden miniature Viking boats. 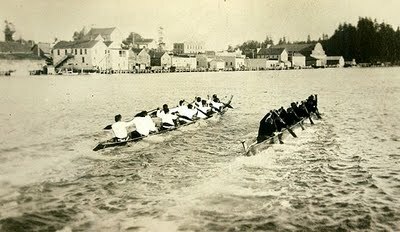 Robertson’s plan for the exhibition is for collectors to purchase the miniature boats, and keep them on their mantle for the better part of the year. Robertson says he will then visit the collectors’ home next winter to commemorate the burning of the model ship in their fireplace, just as he commemorated the original festival burning. The collector will receive a large photo of the burning along with a 5×8 photo of the group that took part in the celebration. One idea Robertson’s show leaves out is the dangerous act of walking around in high winds at night with a homemade torch of burlap wrapped around a 2×2 dipped in paraffin. Robertson says it’s only a matter of time before the festival is tamed of its pagan origins. There have already been signs of globalization-style timidity moving in. If you think homemade torches are dangerous, well, they used to roll barrels of oil down a hill to set the boats ablaze. And while costumes worn in Uphellyaa have long been of devils and Vikings, it’s now common to find troupes of torchbearers dressed like Indiana Jones. The show does hinge on audience participation. Robertson says he’s more excited about the show than of dealers and collectors, and, although it’s a nice show to look at, it fails if nobody buys the ships. 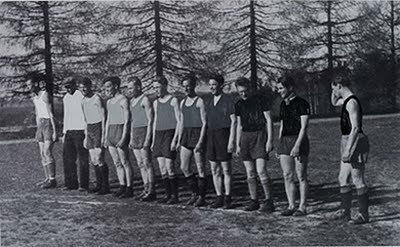 The entry 'Mitch Robertson' was posted on August 28th, 2009 at 10:13 am	and is filed under altered, black and white, coding, conceptual, cultural critique, dichotomy, evil, found photographs, good, hand color, humor, painting, photography, preconception. You can follow any responses to this entry through the RSS 2.0 feed. Both comments and pings are currently closed.